To me, Barbara Bush was the real-life American version of the Dowager Countess of Grantham; a woman of high standards with a Yankee wit so truthful that it tickled more than it stung. She exercised tremendous influence in the world simply by being herself because she knew innately how to treat people well. 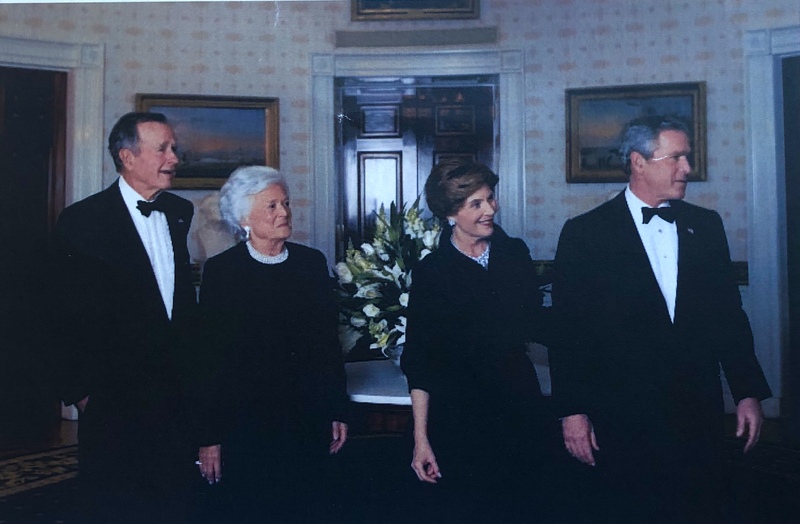 When I left the White House I was given a sheaf of photos of my favorite events, and this one, taken in 2005, was among them: the 41s and the 43s welcoming guests to the 60th anniversary celebration of George and Barbara Bush – a very happy night among family and friends. Barbara Bush was an extraordinary woman and the world is not quite the same without her.